Have you ever heard of cuffing season? It’s when you grab a partner and hunker down for the frosty months of November, December, January and February. And there’s a reason why exists: It’s because winter is cold and boring AF, so there’s nothing else to do but settle in with another human to keep you company. But what do you do when cuffing season just doesn’t sound that appealing this year? 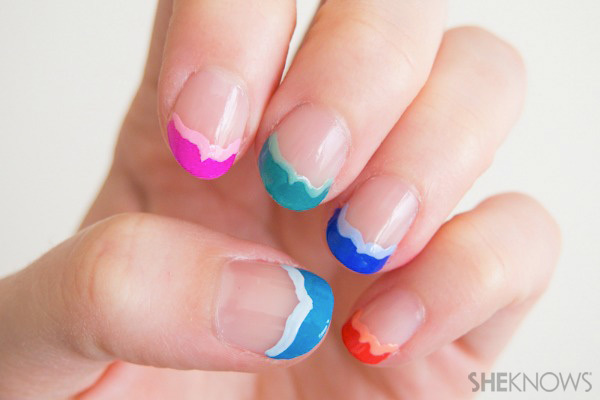 You keep yourself occupied by doing your nails, like, every single day. Seriously though, you can only read so many books by the fire — but settling down with a a grip of nail polish and harnessing your creativity never gets old. Plus, your Instagram will be popping after you post 90-plus days of fresh nail art. We’ve rounded up a collection of 93 of our favorite DIYs. Have a ball, baby. Inspired by Chanel’s Spring 2014 fashion line, unveiled at New York Fashion Week. 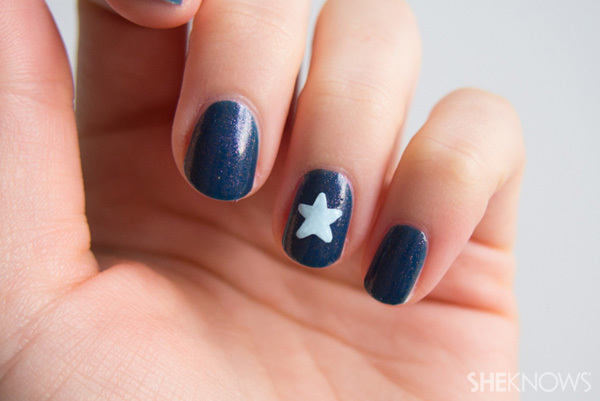 To save everyone major frustration, we’ve created a two-step tutorial for creating the perfect star on your nails. 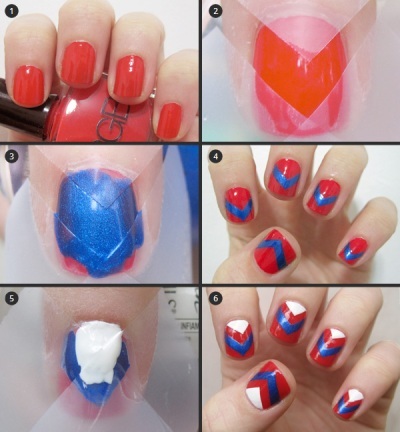 Master the art of painting a perfect heart on your nails with our two-step technique. 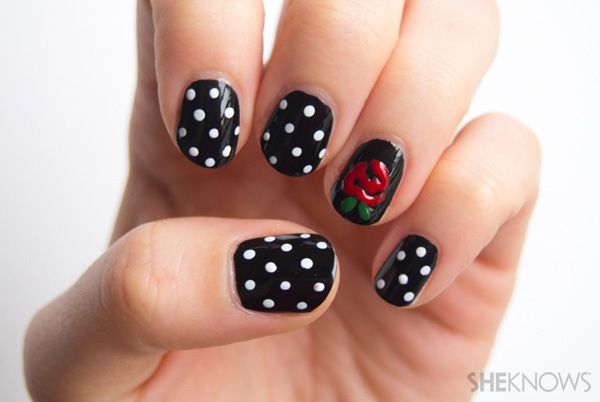 No one’s going to believe you did this intricate nail art yourself. Want to try being the outdoorsy type without committing to the outdoors? Try these feather inspired nail designs. 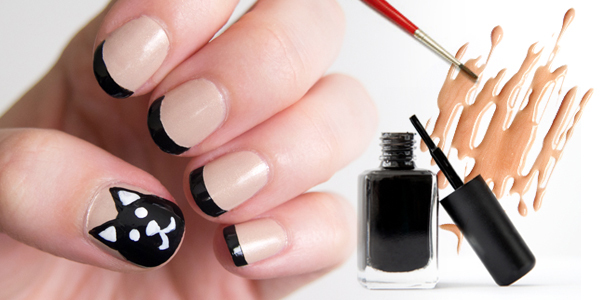 Get your nails into the plaid trend that’s taking over by following our easy tutorial. 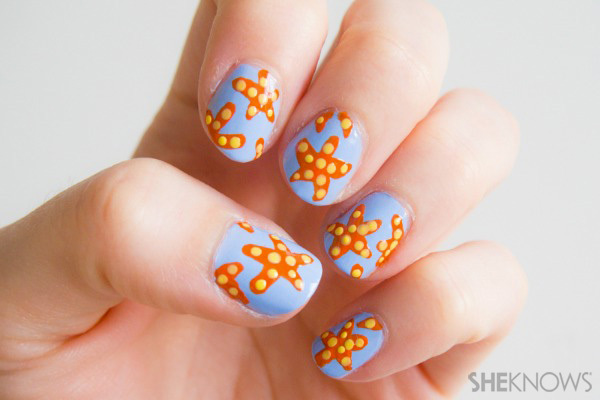 Bring the marine life to you with this cute starfish nail design — it’s a great summer style. The pink and brown patterns create a unique look with hints of cheetah. 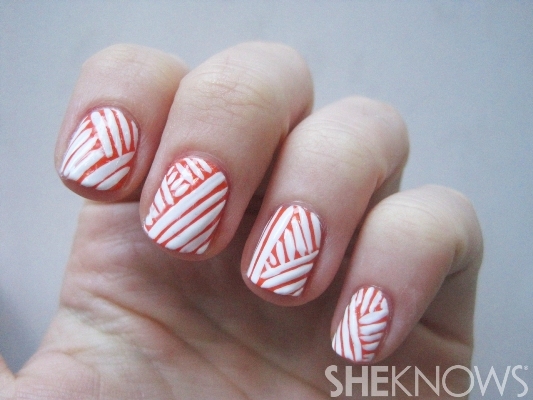 Yet another twist on the traditional French manicure, this neon and white nail design will pop. Inspired by Chanel’s 2013 collection, these nails add texture and trendy style to your nails. 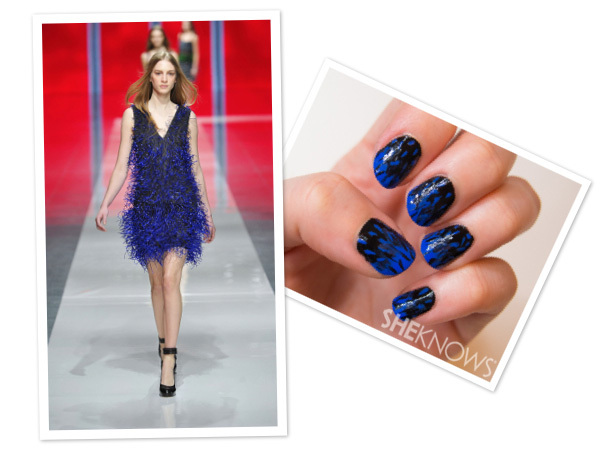 Feathers and texture are the must have fall trends for clothes, so why not add them to your nail art? 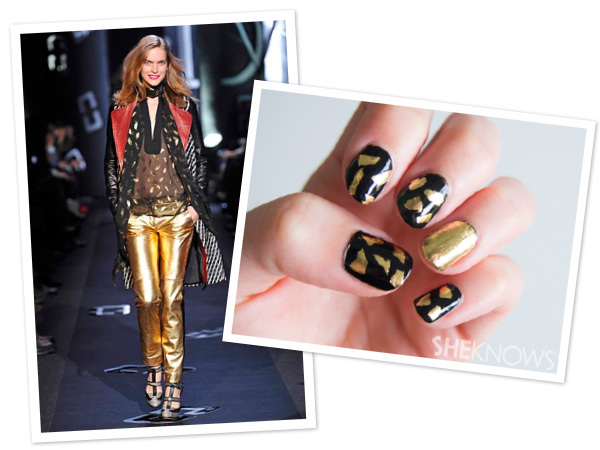 Get your glam rock on with these awesome nails inspired by Diane Van Furstenberg Fall 2013! 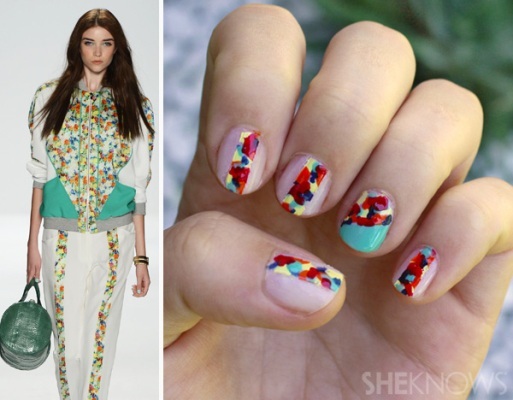 We loved Rebecca Minkoff at New York Fashion Week so much that we decided to wear her design on our nails! 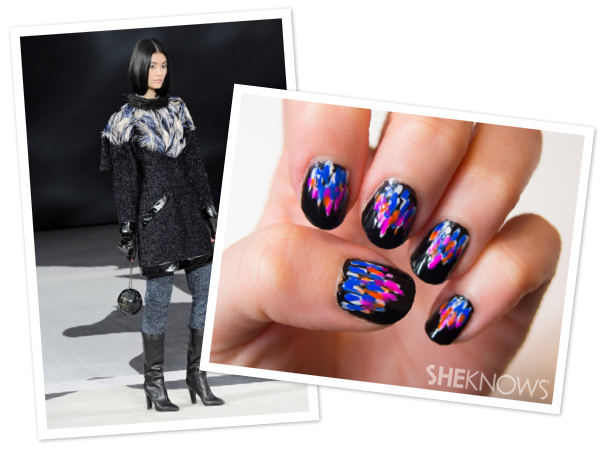 Go boho chic with these feathered ombre nails inspired by Chanel. 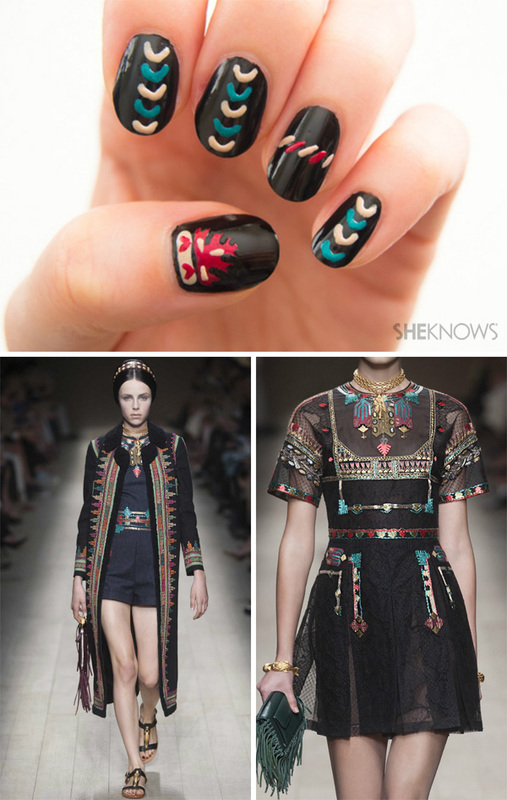 Valentino’s spring 2014 collection never looked so good (when you rock it on your nails). 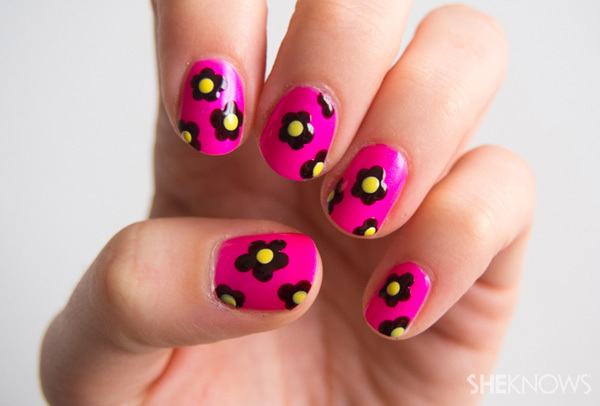 Fall is the time for florals, that’s why we love this Prada-inspired nail art. 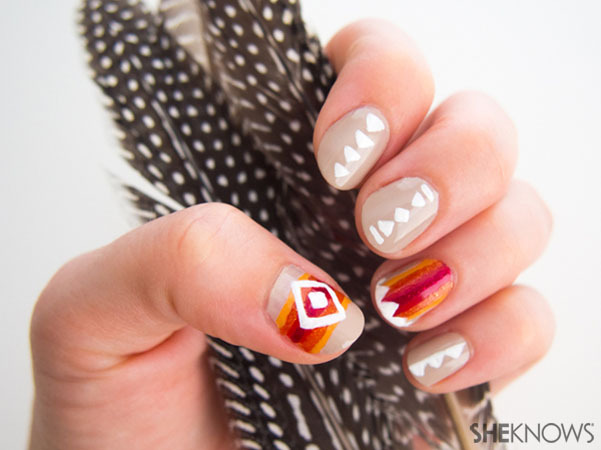 Try some tribal-inspired nail art for something new. Our easy tutorial can be done by everyone. If you want playful nail art with plenty of brilliant color, this mermaid scales design is for you. Up for a Splatter Nails challenge?! This is the fun, summertime version of the classic French manicure, and we can’t get enough. Get in touch with your girly side and use glitter polish for this look to achieve the glitter gradient nail effect. 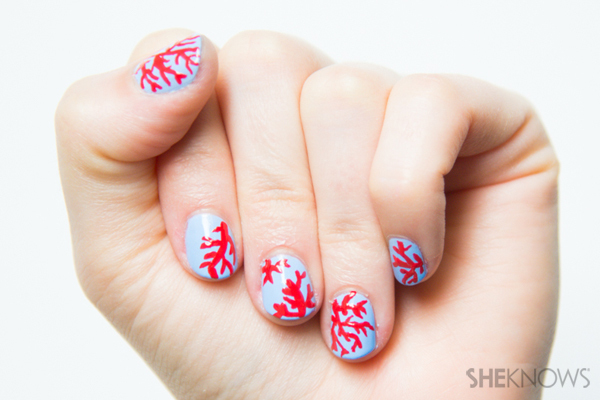 Bring the bright colors of the ocean to your nail art. 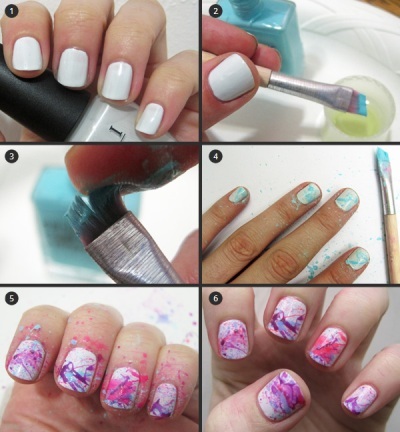 Follow this easy how-to guide for color reef printed nails. 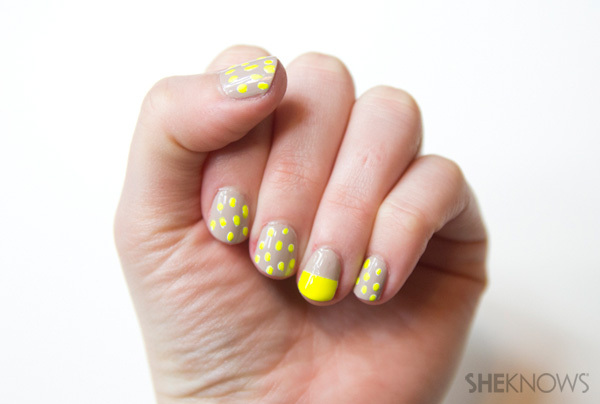 A subtle background really makes the bright yellow polka dots come alive. 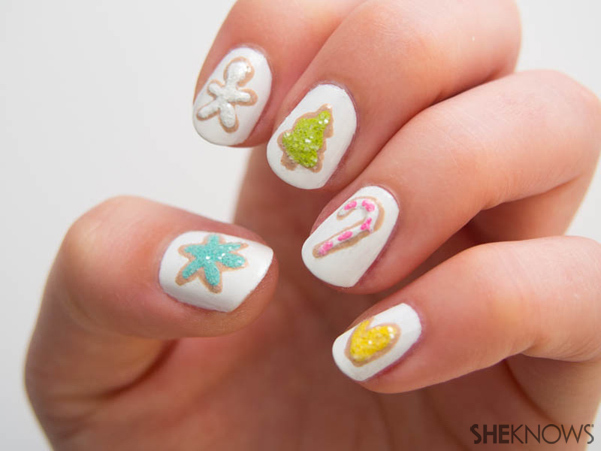 Give yourself a little tropical getaway (or remind yourself where you’d rather be) with this citrus inspired nail design. The two-toned pink combination is flirty and fun for summer. 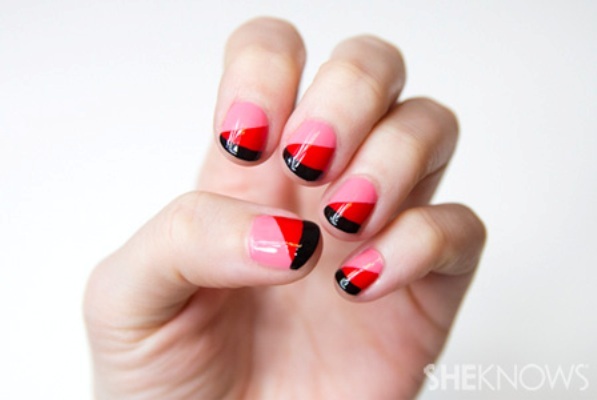 A pretty in red and pink nail design tutorial : Red, pink and chic. 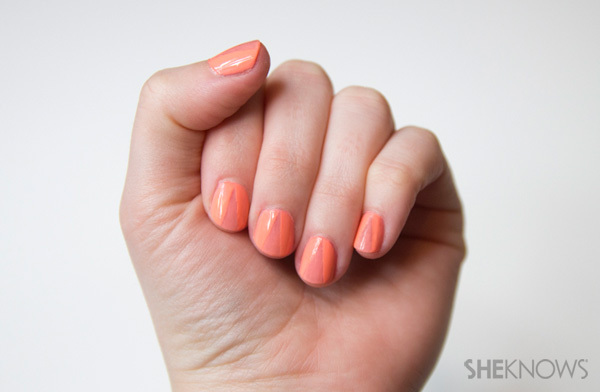 Brighten up your nails with these sweet summertime colors. A touch of Halloween fun without getting too creepy. 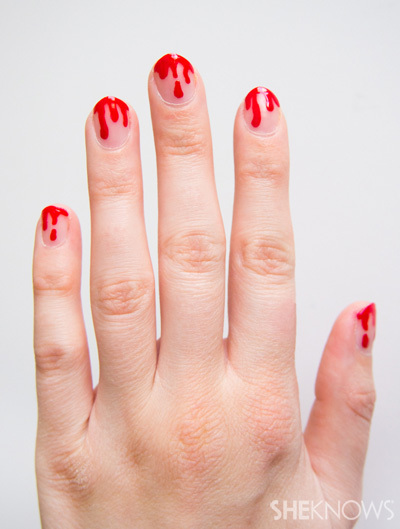 Get in the Halloween spirit with this blood curling nail design. 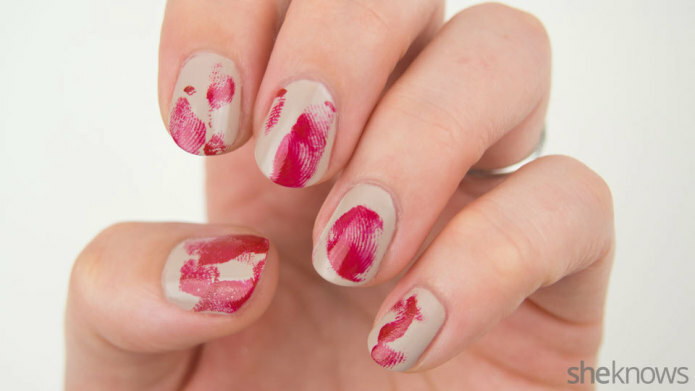 Get festive with these gory nails. They’re a perfect accent to any Halloween costume. Well, this is awesomely unsettling, just in time for Halloween. 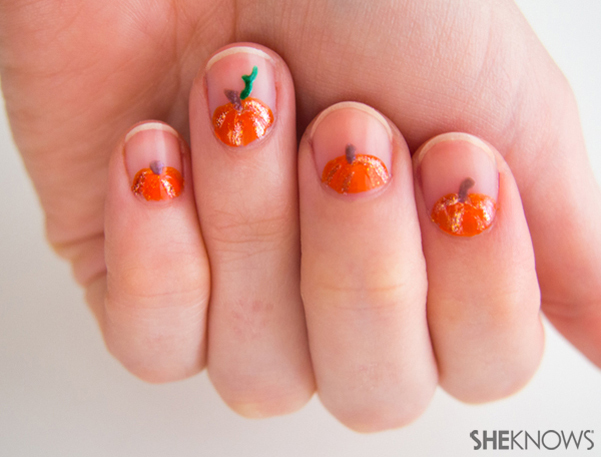 Spook-tacular Halloween nail art that’s also surprisingly easy. 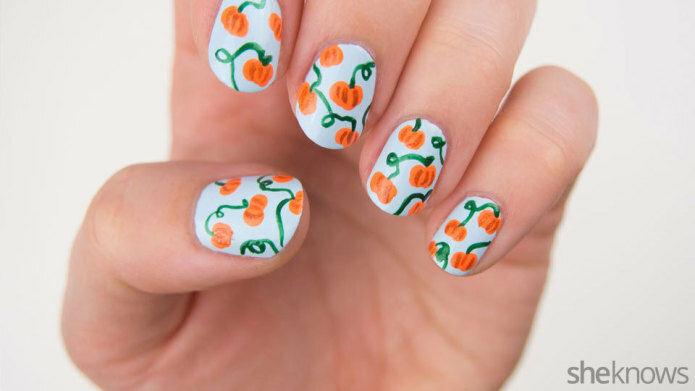 Inspired by Charlotte Olympia’s wildly popular feline flats, these halloween-appropriate nails slay. 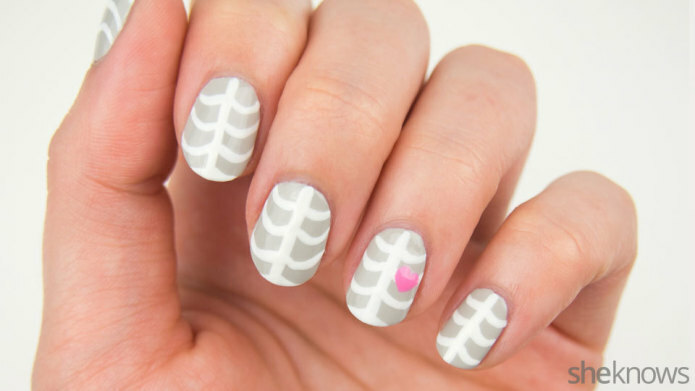 This mummy inspired nail design is a must for Halloween. 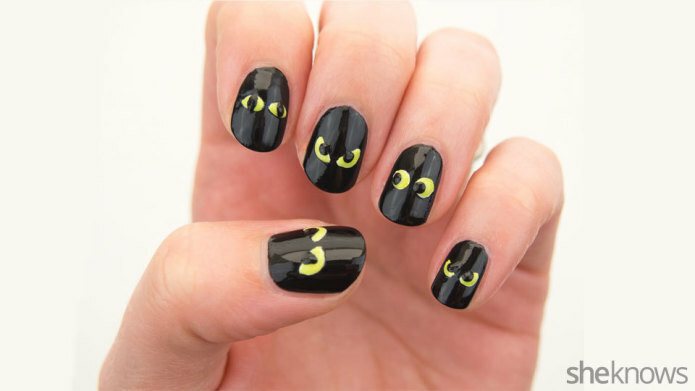 Channel your inner Frankenstein with this fun Halloween nail design. 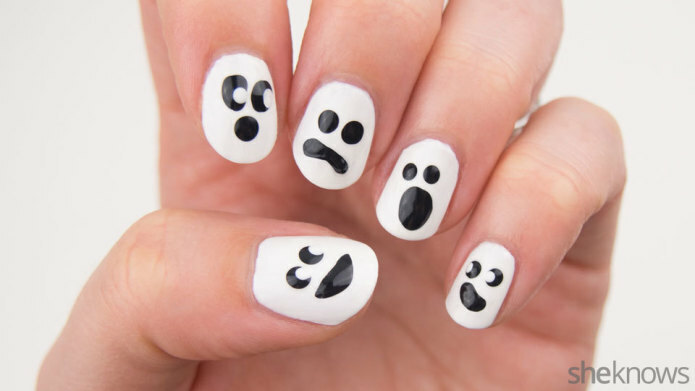 The adorably ghoulish nail art you never knew you needed. 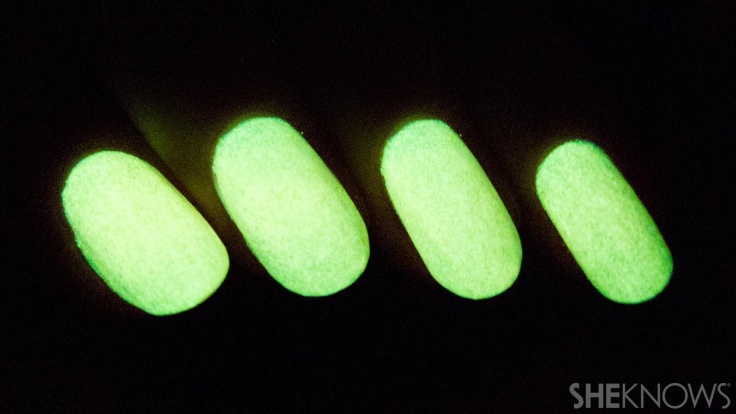 Turn any nail polish into a glow-in-the-dark design using our easy-to-follow tutorial. It’s a perfect look for Halloween. 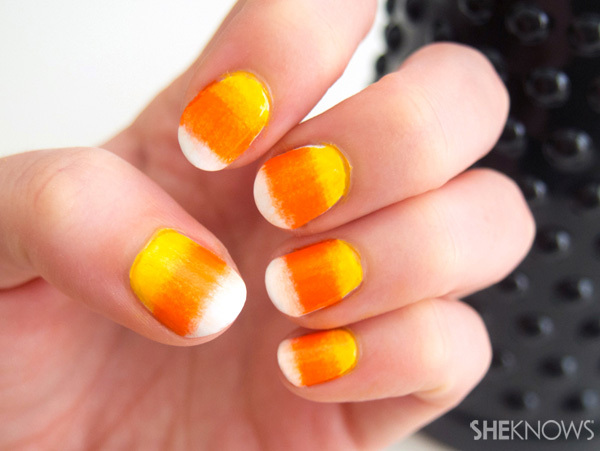 Stay in the fall spirit with candy corn nail art. 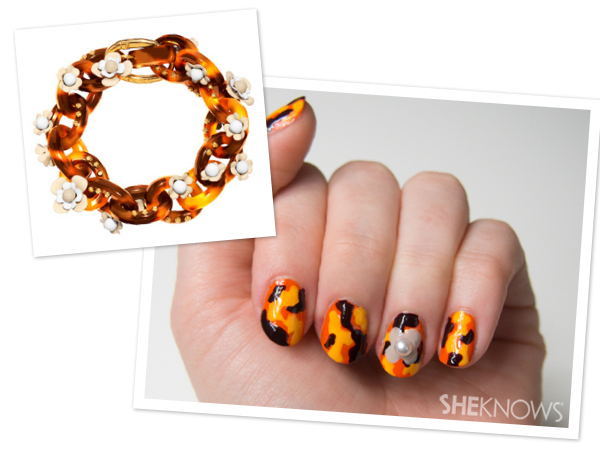 Take a twist on traditional with an abstract fall leaves nail design. 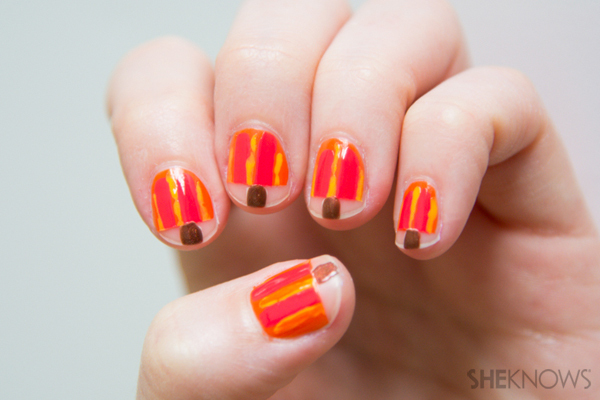 Before you head to Thanksgiving dinner, take our peeking pumpkin nail art tutorial and try it yourself! For the girl who just can’t get enough pumpkin spice (and we don’t blame you). 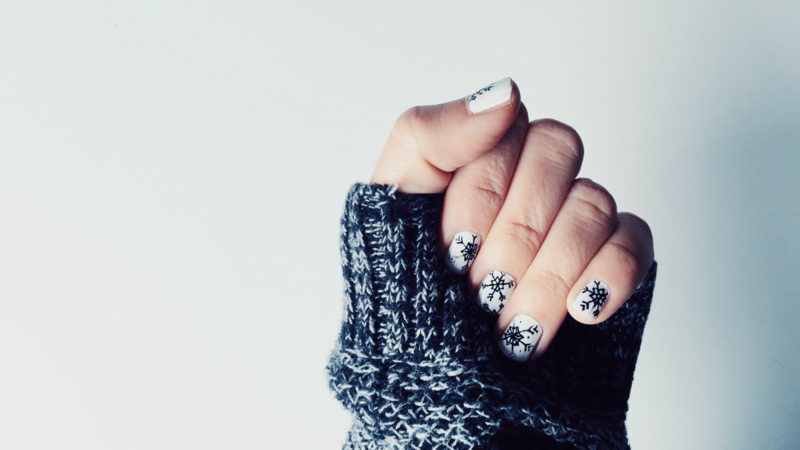 Be festive for any holiday party this year with a little winter wonderland on your nails. 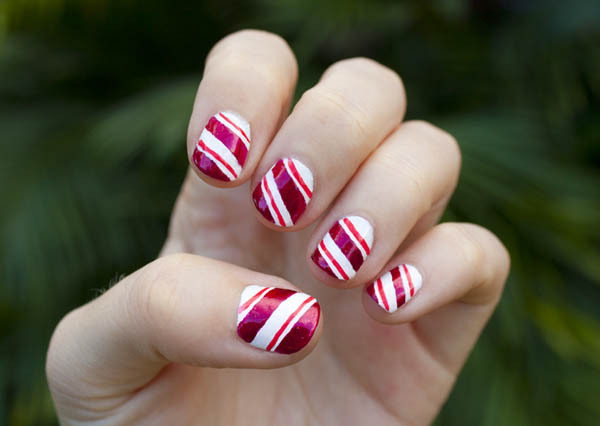 Take one of your favorite holiday treats and transfer the sweet stripes onto nails for a festive and chic design. Twist up your normal french manicure with trying this new nail design using neon colors. 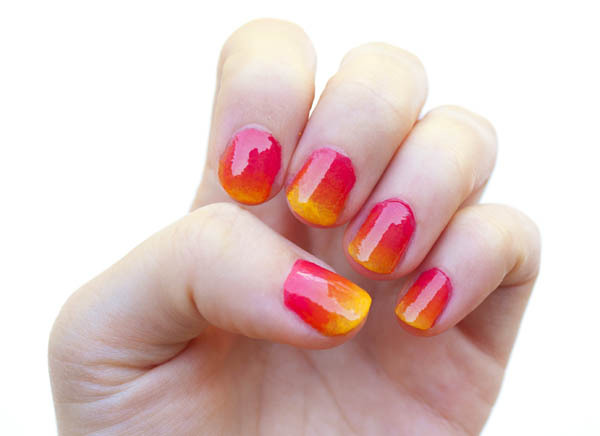 Use your favorite nail colors to create this trendy and fun ombre design. 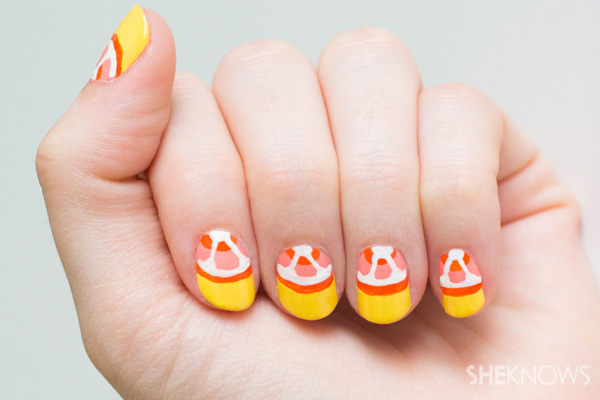 Add a little sweetness to your day with these cute sugar cookie inspired nails. 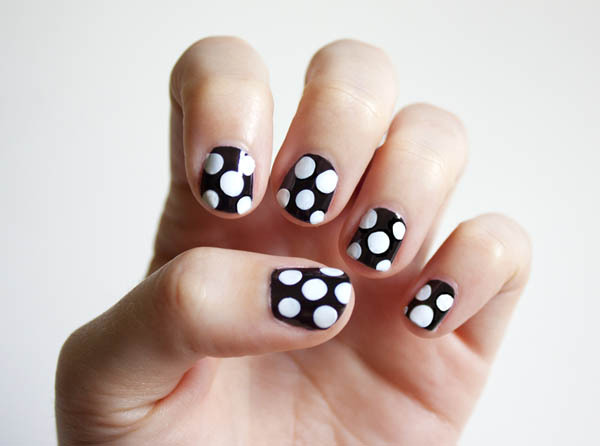 You can save money on those expensive nail strips and do this chic design on your own. Have you ever had the perfect outfit planned, but can’t seem to get the right nail polish to match? 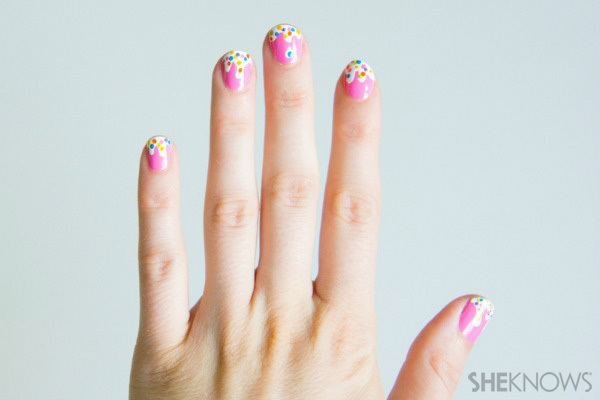 Indulge in never-ending ice cream when you paint your nails with this cute melting ice cream nail design. 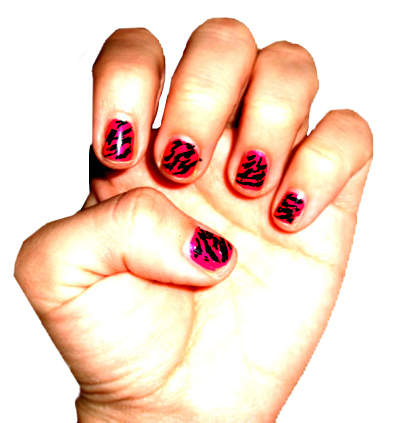 These include a hot pink coat using a black nail pen for the designs. 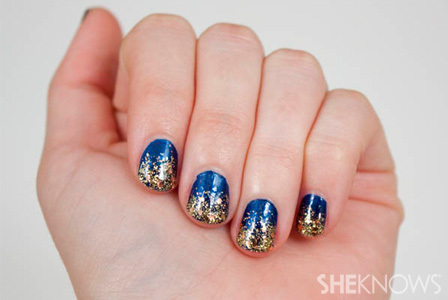 You can always glitter up any nail color in order to put a sparkly twist on your nail designs. 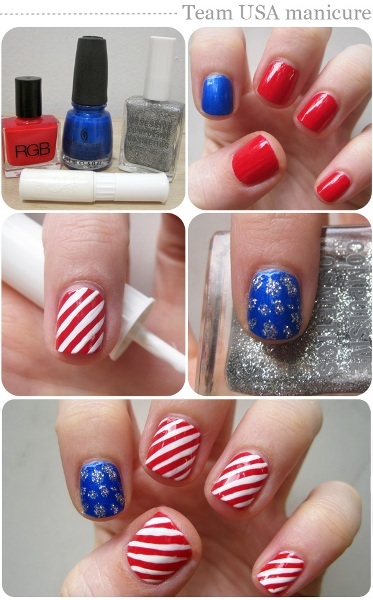 Go for the Gold with team USA’s colors vibrantly showing for a new nail design. Love every type of sport there is? 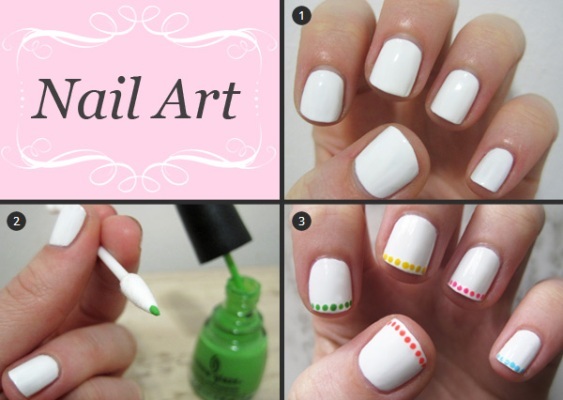 Well, now you can sport all of them with this fun nail design! 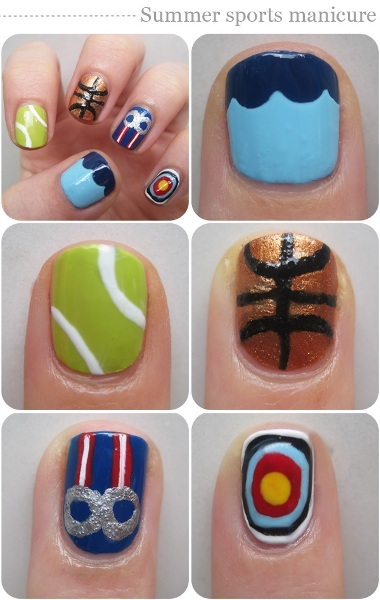 Ring in your favorite Olympian with the symbolic rings nail design. 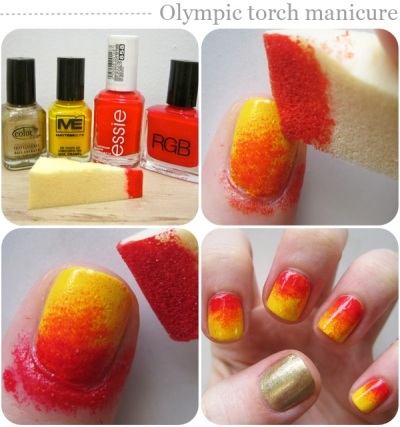 Fire it up with the Olympic Torch on your nails. 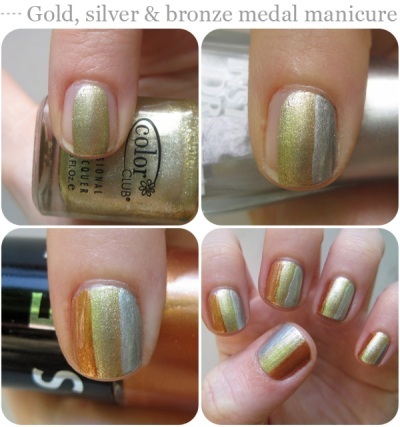 Sport the golden glow nail design for everyone to see! 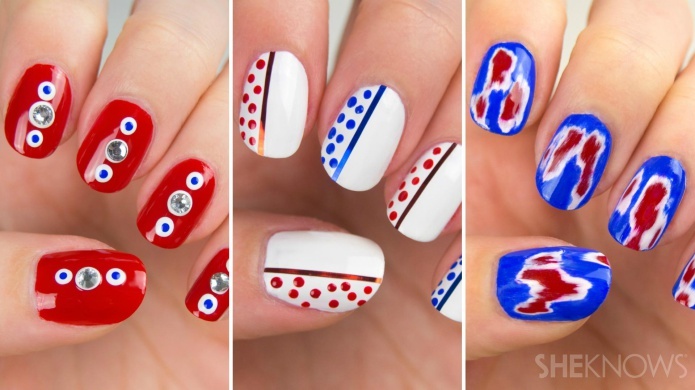 Show your patriotism any day of the year with these amazing red, white, and blue nail designs. This clean-cut nail design is sure to grab the attention from many, many admirers. 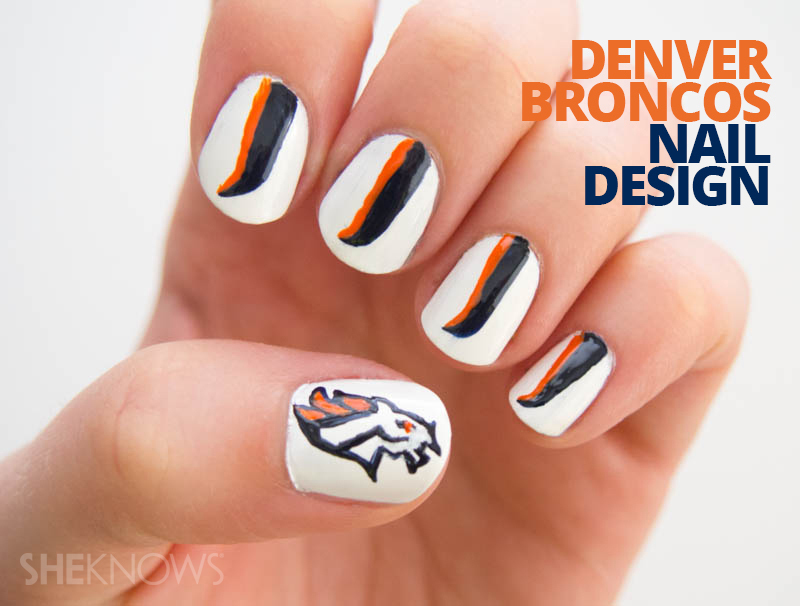 Baltimore Ravens nail art tutorial: The only true way to show your team spirit. 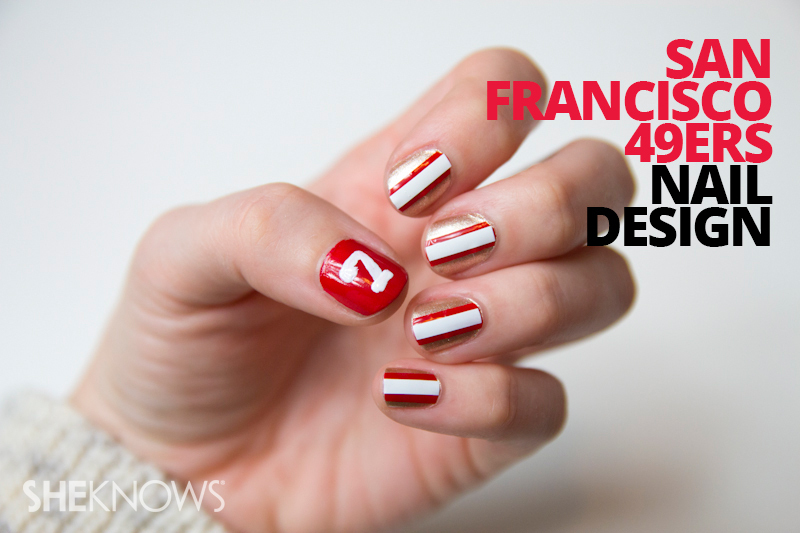 Show your support for the San Francisco 49ers with this sweet nail design. 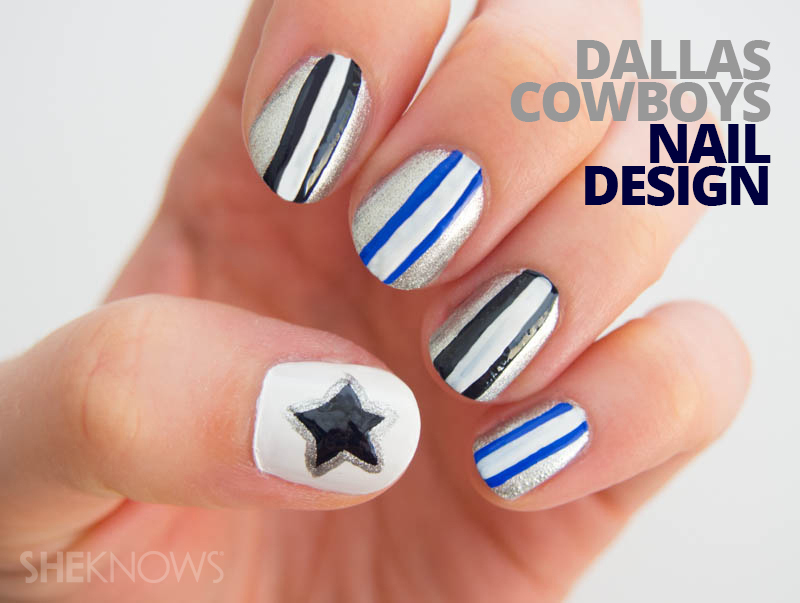 Cheer on your Cowboys with this cute nail art. It’s a great way to liven up any game day outfit. 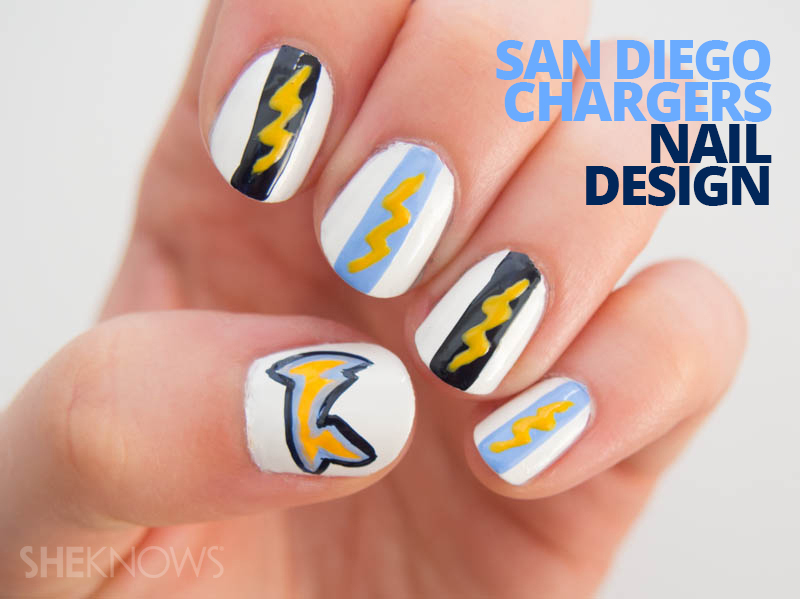 Look super cute as you cheer on the San Diego Super Chargers with this nail design.